Det. 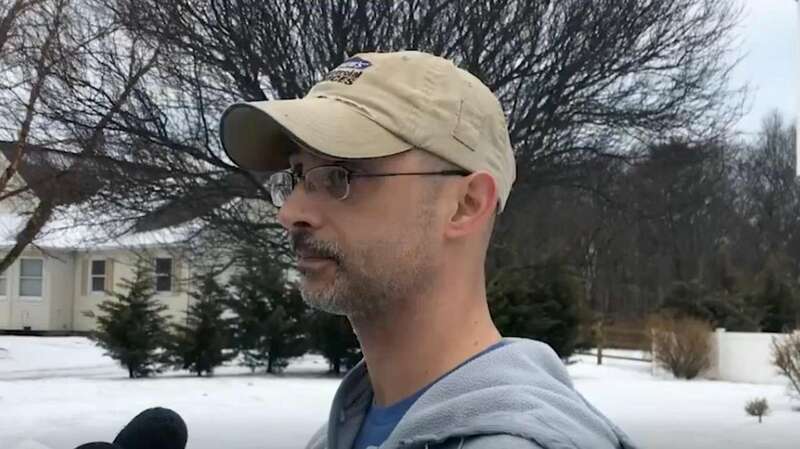 Brian Simonsen, 42, lived in Calverton, records show and neighbors confirmed Wednesday morning. 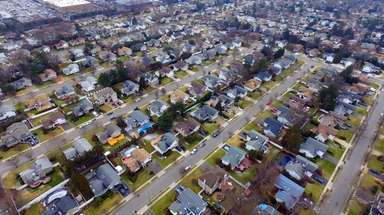 This story was reported by Robert Brodsky, Stefanie Dazio, Anthony M. DeStefano, Alison Fox, Chau Lam and Laura Figueroa. It was written by Brodsky and Dazio. Seven NYPD officers fired a total of 42 rounds during a chaotic scene outside a Queens cellphone store as they responded to an attempted robbery that left a detective from Calverton dead from friendly fire and his supervisor, a police sergeant from Seaford, with a gunshot wound to the leg, department brass said Wednesday. Det. 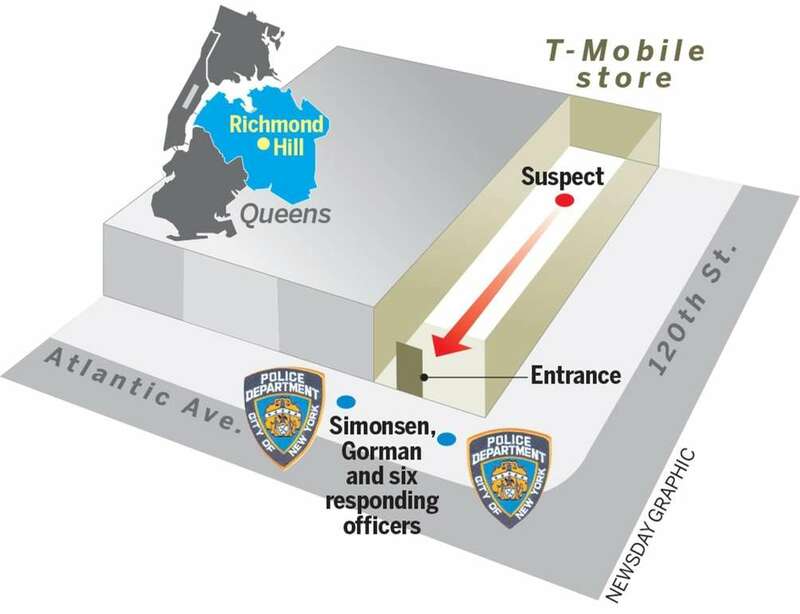 Brian Simonsen, 42, of the 102nd Precinct, was fatally shot in the chest outside a T-Mobile store on Atlantic Avenue and 120th Street in Richmond Hill Tuesday evening after confronting Christopher Ransom, said Kevin Maloney, commander of the NYPD's Force Investigation Division. Ransom, who police called a career criminal with a long arrest record, raised a weapon and simulated firing at several officers, including Simonsen, a 19-year veteran of the force, and Sgt. Matthew Gorman, Maloney said at a news conference in Manhattan. 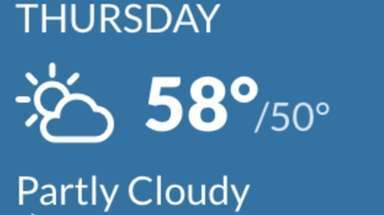 Authorities later determined Ransom was wielding an imitation pistol that was recovered at the scene. 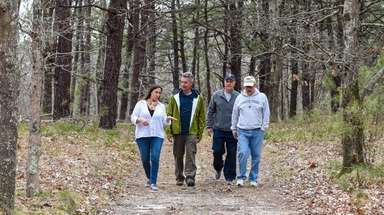 Simonsen and Gorman, who was also shot in the leg by friendly fire, were both in plainclothes and neither was wearing a bullet-resistant vest, officials said. The shooting lasted approximately 11 seconds and occurred less than a minute after officers entered the store. 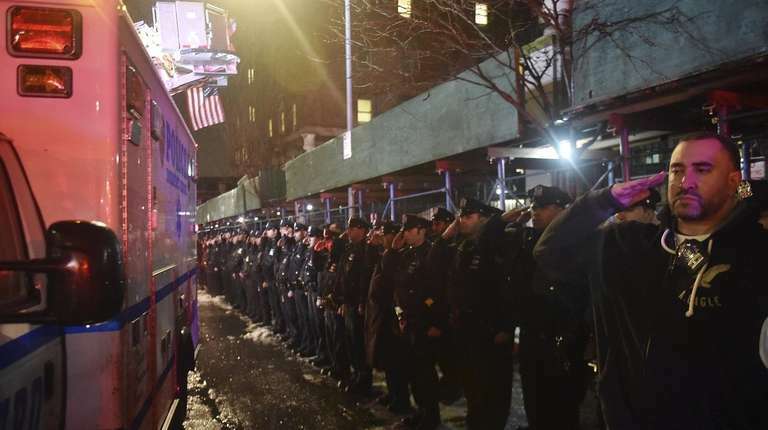 "We don't know at this point who shot who," said NYPD Chief of Department Terence Monahan. "We know there was a lot of shots. It was a chaotic scene . . . The scene is caused by a man charging at police officers. He was advancing quickly at police officers pointing a gun at them." Police are examining video of Tuesday's shooting, which appears to show that Simonsen was shot as he stood outside the cellphone store, a law enforcement official said Wednesday. Maloney said the incident was captured on the body cameras of five uniformed officers. Ransom, who was shot by police multiple times, has been charged with murder, robbery, assault, aggravated manslaughter and menacing, the NYPD said Wednesday. Mayor Bill de Blasio promised a "full review" of the friendly fire shooting, the second of an NYPD officer in recent months. In December, NYPD officer Amir Pali was struck in the left torso by another cop during a confrontation with an intoxicated man wielding a knife in Staten Island. “I think it’s a very serious issue that needs to be looked at,” de Blasio said at a news conference earlier Wednesday. Monahan Wednesday hailed Simonsen as a hero who raced to the robbery scene, even through, as a union delegate, he had been to a meeting in the morning and was not required to go to work that night. "He was the definition of a cop's cop," Monahan said. "There was not a person in the 102nd Precinct that didn't know Brian, from the cleaner to the commanding officer. Everyone in that precinct knew Brian and knew him well." 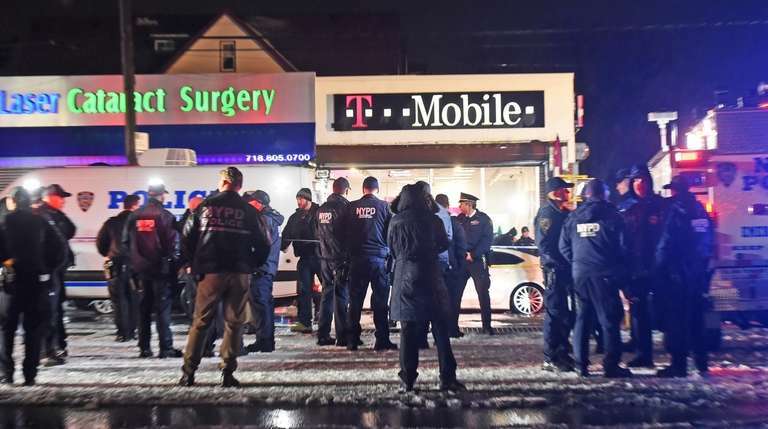 The chaotic scene unfolded Tuesday evening around 6:10 p.m. along a commercial district in the southwest Queens neighborhood. Police said they received a 911 call of an armed man, wearing a mask, entering the T-Mobile store. The witness told police that the suspect took two store employees to the rear of the business. 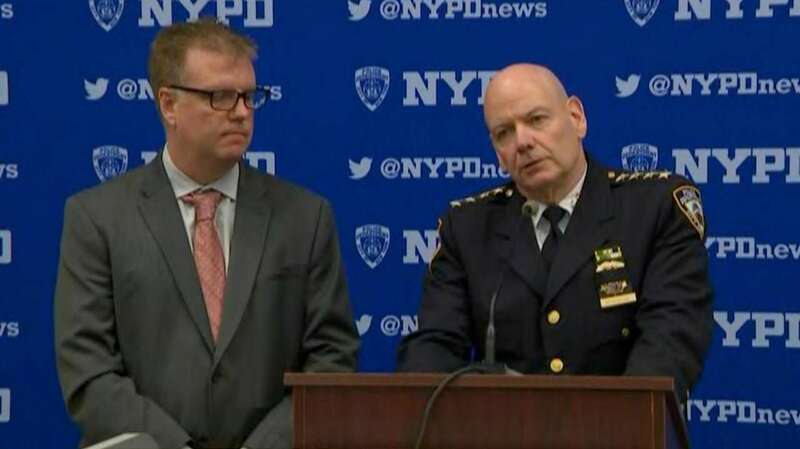 Simonsen and Gorman, who were in the neighborhood conducting surveillance on an unrelated robbery pattern, were the first two officers on the scene, followed by six uniformed officers, Maloney said. Gorman and two uniformed officers entered the store through the front entrance — Simonsen stayed outside — but were confronted by Ransom, who was running in their direction while holding a weapon, he said. 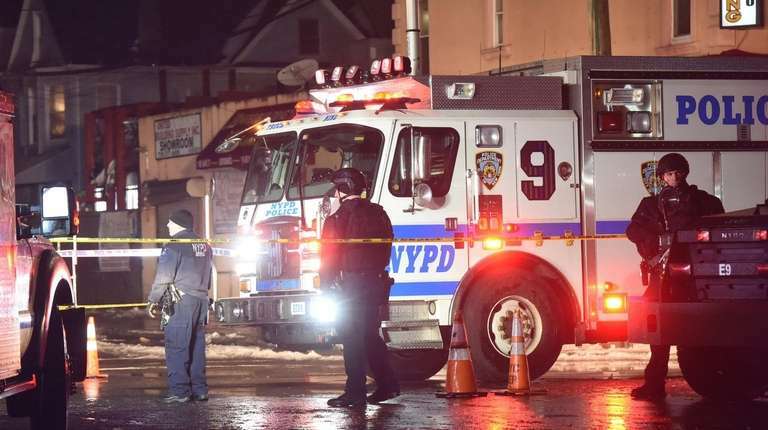 The three NYPD officers retreated toward the front entrance when gunfire erupted from both the left and right of the store's front entrance, Maloney said. Seven of the eight responding officers fired 42 rounds, with at least one striking Simonsen in the chest and another hitting Gorman in the leg. Gorman discharged 11 shots at Ransom and Simonsen fired twice. The rest of the shots were discharged by the uniformed officers, Maloney said. Monahan said while officers are trained to avoid crossfire situations, real-life circumstances do not always mimic training. Ransom, 27, was taken to NewYork Presbyterian-Queens hospital in Flushing, where he was listed in stable condition. Ransom has 25 prior arrests, many of which are sealed. Eight cases are open, of which some are larcenies, a violation of an order of protection and one case in Brooklyn of criminal impersonation of a police officer. 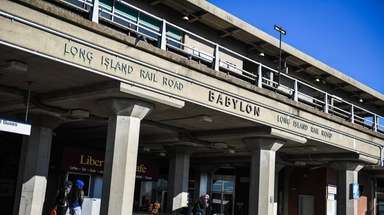 Simonsen was taken to Jamaica Hospital Medical Center, where he was declared dead, officials said. 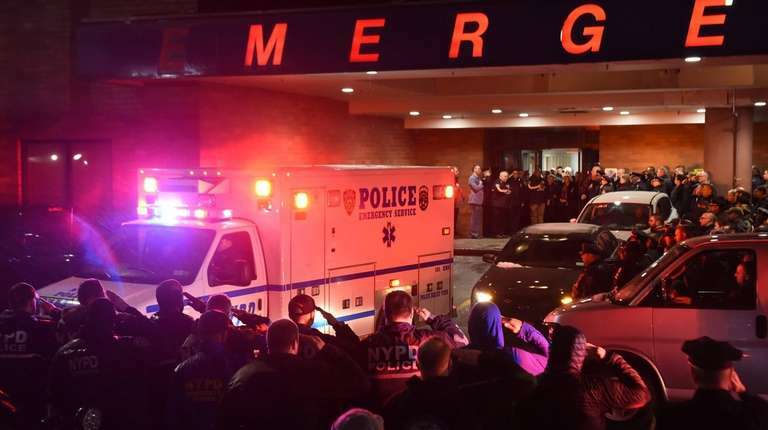 Gorman was taken by a civilian passer-by to Jamaica Hospital where he was recovering from non-life-threatening injuries, NYPD Commissioner James O'Neill said Tuesday. 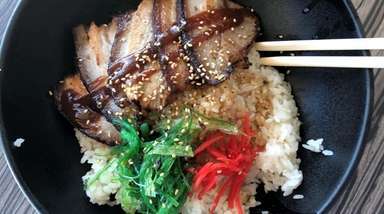 "This is an absolute tragedy," said an emotional O'Neill Tuesday. "The worst outcome any police officer, or the family of a police officer, can imagine." President Donald Trump, speaking at a national law enforcement conference in Washington, D.C., offered his condolences to Simonsen and his family, mentioning him alongside another Milwaukee police officer killed on the job last year. "We grieve the loss of these great heroes," Trump said in a speech to the Major County Sheriffs and Major Cities Chiefs Association Joint Conference. "Our hearts go out to their family and to everyone in the NYPD and Milwaukee law enforcement community." De Blasio said he had spoken with Simonsen's mother and widow, and called for a moment of silence. “The bravery it takes to go into the unknown in a situation like that is extraordinary — and he gave his life for us," de Blasio said. 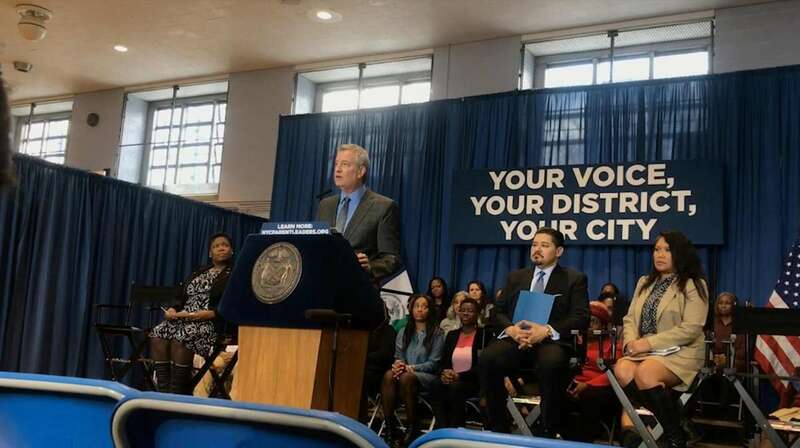 De Blasio will leave the city Thursday afternoon for an event at Harvard University in his official capacity, but will postpone his planned nongovernmental travel to New Hampshire Friday, spokesman Eric Phillips said. He plans to attend Simonsen's funeral. Gov. Andrew M. Cuomo and Suffolk County Executive Steve Bellone each directed flags to half staff on state and county government buildings for Simonsen. 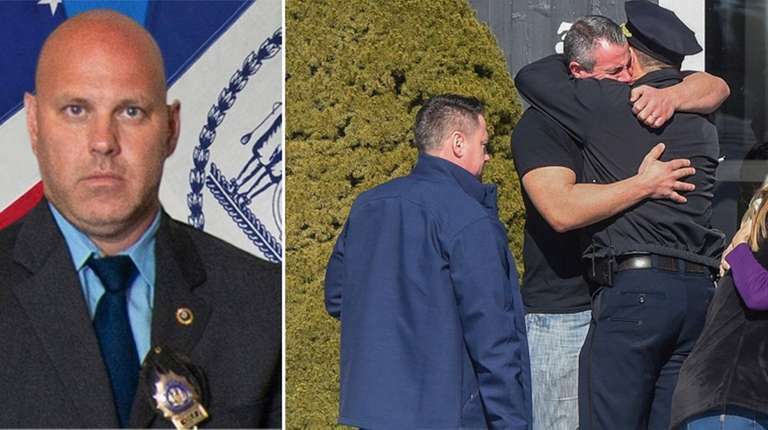 "Our heart goes out and our prayers go out and condolences to Detective Simonsen's family for the NYPD tragedy, which is just so sad and so painful," Cuomo said Wednesday. "And our thoughts and prayers are with his family. And it just reminds us all how dangerous the job of the NYPD and how many people put their lives on the line to keep us safe." Bellone said Simonsen "chose to serve and protect the people who call New York City their home." Simonsen was appointed to the NYPD in March 2000 and made detective in May 2008, an NYPD official said. He has spent his entire career in the 102nd Precinct. 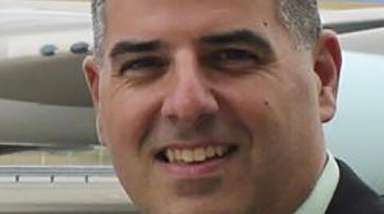 Gorman, an eight-year veteran of the 102nd Precinct, was appointed to the NYPD in March 2010 and made sergeant in April 2017, police said. O'Neill said Simonson first started on patrol with the 102nd Precinct and later went upstairs to join the squad. He was soon elected the squad’s Detectives’ Endowment Association delegate. In a statement Wednesday, the commissioner called Simonsen "a great investigator held in very high esteem by his co-workers." O'Neill added that "the outpouring of support we are receiving as a police department is simply overwhelming. This is heartbreaking. But we are not alone." The last NYPD officer to be shot and killed in the line of duty was Det. Miosotis Familia of the 46th Precinct in the Bronx in 2017. The 48-year-old mother of three died on July 5, 2017, when a gunman, who police identified as Alexander Bonds, fired on her as she and her partner sat in a vehicle at East 183rd Street and Creston Avenue. Bonds was killed a block away by other officers who fired when he drew a .38-caliber handgun.